With its classic 5 reel and 3 rows slot layout, you might feel a little nostalgic of yester-year, but as we know with NetEnt, there are always some fantastic surprises lurking behind the scenes. The first thing you will notice is the look and feel; the purple- blue and black color scheme adds a sense of timelessness, but it has been polished up to give it a more modern style. The soundtrack and effects add to the thrill and anticipation as you wait for the winning combinations to come to rest on the reels. One of the most obvious features that separates this slot from a traditional slot with only 15-30 paylines, is that Twin Spin boasts 243 ways to win, giving you plenty of possible variations to win. Plus, the WILD, which appears generously, gives more wins, more often. The most appealing feature of Twin Spin and the secret weapon is the Twin Reel feature. On every spin, two adjacent reels, at random, become linked and duplicated, i.e. the same symbols are lined up on both. The twin reels stop first and the rest follow. When you consider that you need a minimum of 3 symbols for a winning combination, the twin reels get you almost there by having 2 symbols already lined. But, there is even more to this great feature, because during the spin, the linked reels can expand to 3, 4 or even all 5 reels for truly epic wins! 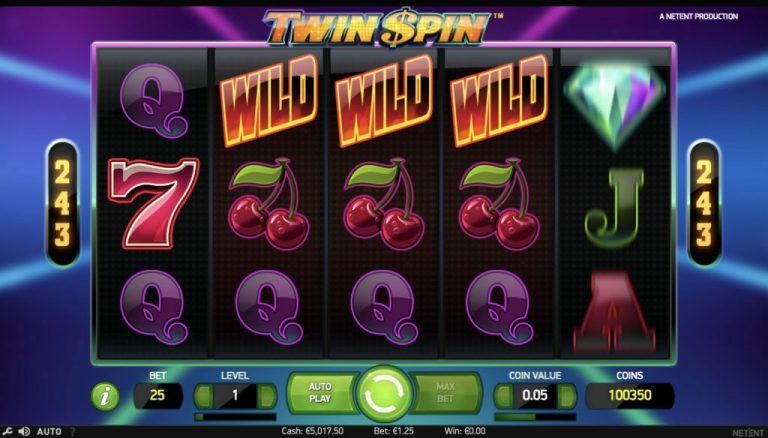 Twin Spin uses all the classic-style slot symbols including, diamonds, bells, bars, cherries, lucky 7s, and card numbers nine, ten, Jack, Queen, King, and an Ace. There is also a wild. The wild substitutes for all other symbols and can only land on reels 2, 3, 4 and 5. The diamond has the highest value and matching five on a payline will reward you with a healthy 1000x your stake amount. The lower valued symbols are: Ace, King and Queen with a multiplier of 40x for five matches. The lowest paying symbols are the Jack, 10 and 9. Twin Spin does not have any scatter symbols. Twin Spin slot does not have any special bonuses like Spin a Wheel or Pick an Object. However, the fact that the Twin Reel feature is active on every spin is a bonus itself. The ability of the reels to expand three to five reels, if lady luck is shining down on you, is an even bigger bonus. Twin Spin does not offer any feature for free spins. The jackpot on Twin Spin is the opportunity to win up to 270,000 coins. It is not linked to any progressive jackpot. The slot has 243 ways to win. This gives you many great chances to win. Setting your bet covers all possible ways and not per payline, like many other slots. You set the coin value and the level, which is the cumulative bet amount. You can wager a minimum of 25 coins with a possibility of adjusting the coin number to 250 to achieve a maximum bet. On setting a stake, you have the option of manually spinning the wheel by clicking the centered round button located at the bottom of the screen or choosing the auto-play option. The auto spin accommodates from 10 rounds up to a maximum of 1000 rounds. With an RTP of 96.6%, Twin Spin gives a healthy return to player. Twin Spin slot has a volatility range of medium-high. This means that when playing the game, you will regularly get small wins and some occasional major payouts. During our testing, we were fortunate to see a lot of reasonable sized wins, fairly often. 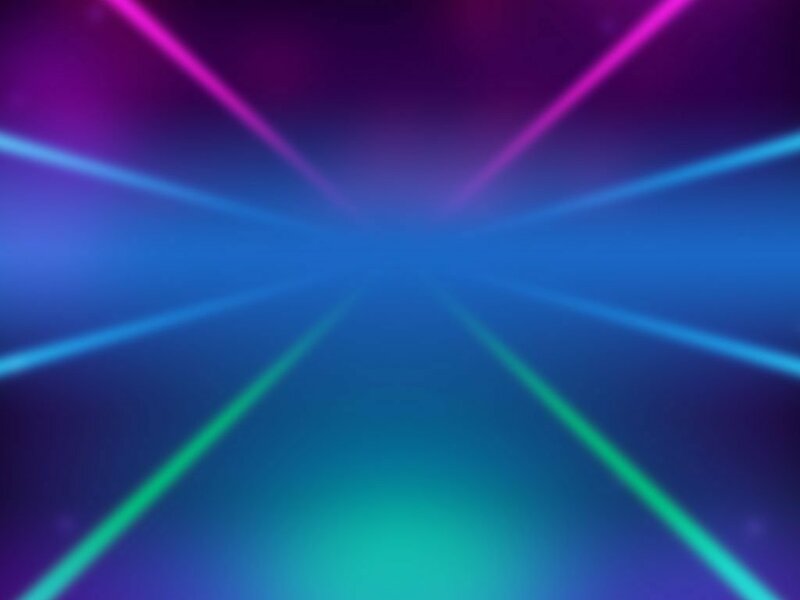 Twin Spin is a simple and thrilling classic slot. In a world where we are overwhelmed by choice and endless features in some slot games, this video slot shows how “less is more”. The Twin Reels feature give the slot a great twist and keeps the action going for much longer. There is no doubt many slots fans will fall in love with Twin Spin.